Small batch, hand-dyed yarn, easy wear, easy care! 6/25/15 CLEARANCE SALE on Primo Base Merino/Cashmere/Nylon yarn (80/10/10). Only $20 USD + ship. Primo MCN is a lovely yarn; however, I found a MCN base with a twist that I like better. $20 is a great deal for 460 yards of Merino/Cashmere/Nylon! 5/26/15 ANNOUNCEMENT: INTRODUCING ROUNDABOUTYARN REWARDS! 2. After purchase of your 5th skein of yarn, you will receive a Coupon Code for $20 off a future purchase. 3. Thereafter, you will receive a Coupon Code for $20 off a future purchase after every 8 skeins of yarn. Send a convo to work out the details! 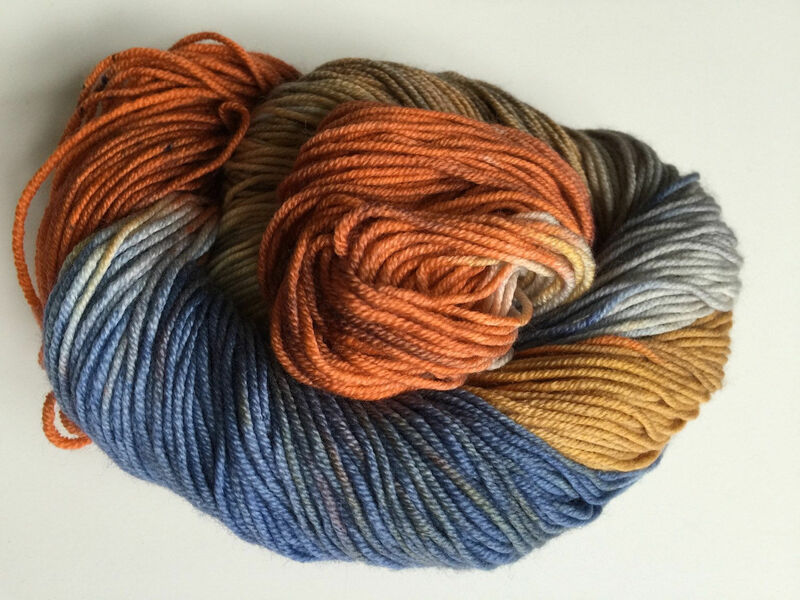 Roundabout Yarn hand-painted yarns, inspired by life on and around our Minnesota farm! All yarns are next-to-the-skin soft and individually dyed in my Minnesota farm studio. Merino, Bluefaced Leicester (BFL), silk, cashmere, with most in super wash bases.